The close of the $3.7bn transaction adds about 10,000 people to the Komatsu team, bringing the company’s global total to more than 57,000 employees. “The combination of our Komatsu-brand surface mining equipment with the P&H, Joy and Montabert brands of surface and underground products will allow us to offer a complete range of mining solutions for our customers,” Tetsuji Ohashi, President and CEO of Komatsu said in a statement. The close of the transaction adds to the Komatsu team more than 10,000 people with knowledge and experience in the mining industry, bringing the company’s global total to more than 57,000 employees, the firm said. Jeffrey Dawes, the former head of Komatsu Latin America, has been named as the new chief executive of Komatsu Mining Corp.
Before acquiring Joy Global, whose shares have been delisted from the New York Stock Exchange, Komatsu only made surface-mining equipment, while Joy was the largest independent manufacturer of machines used underground. 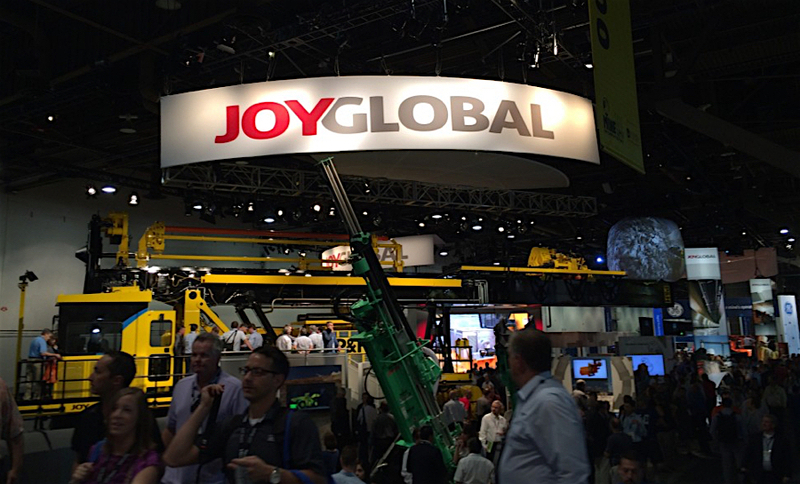 The deal was Komatsu’s biggest-ever acquisition so far.